solera - /səˈlɛərə/ - Noun - a system for aging sherry and other fortified wines, in which younger wines in upper rows of casks are used to top up casks of older wines stored below in order to produce a consistently aged blend. Recently named the 2nd Best New Brewery in the World for 2016 and Best New Brewery in the United States for 2016 by RateBeer.com, American Solera is a creative craft brewery specializing in the oak barrel aging process. Most of our beers are aged 6 to 18 months prior to bottling. Giving each beer its own unique flavor profile. And with a cellar of 16 foeders, puncheons, and wine barrels the possibilities are endless. The Brewing Projekt’s mission is to create damn good beer. Not beer that EVERYONE will like; rather beer that many will love. Boring just isn’t our style. From humble beginnings they have become one of Wisconsin’s hottest breweries with innovating styles and flavors! Central State is the only brewery in the state of Indiana focused primarily on the wilder and farmhouse sides of fermentation. Specializing in farmhouse beers, sours and eccentrically hopped IPAs. Founded by a technically-minded team with an experienced brewer, Central State aims to contribute to the innovation and knowledge-sharing culture that has defined this new generation of American brewing through experimentation, collaboration, and artisanal gypsy brewing. Their portfolio of beers is enormous, creative, and delicious! Colony Nectar makes sparkling session meads in Madison, Wisconsin by finding the finest Wisconsin honey to use in each handcrafted batch. All of their products are simple, refreshing and gluten-free. They started with an idea to turn the finest honeybee nectar into a delicious human nectar. They have hand crafted a variety of dry, clean, and aromatic sparkling meads that highlight the unique flavors of each honey. Crooked Stave is a progressive, artisan brewery that strives to blend brewing science and art, through creativity and following our passion. It’s the culmination of Founder and Brettanomyces Guru Chad Yakobson’s open source Master’s research, The Brettanomyces Project. After studying a Masters in Brewing Science in Scotland, Chad moved back to Colorado in order to pursue his passion in all things fermented. They are based in Denver, Colorado while the unique beers they produce draw inspiration from worldly adventures. The artistic creations, all of which use Brettanomyces yeast and mature in oak, result in beers of extraordinary complexity. All of their beers are produced from the highest quality ingredients, using contemporary and historic brewing techniques aimed at evolving ones perception of what beer is and focused on delivering the best possible drinking experience. Dachs is Wisconsin’s Finest Premium Lager. Made from the best ingredients Dachs is incredibly drinkable, and perfect while tailgating at Camp Randall or ice fishing Lake Koshkonong. Funk Factory is focused on exploring the traditional production of Lambic and Lambic derived products such as Geuze, Lambic, Fruited Lambic, and Gueuze. It has quickly become one of the most respected sour beer creators in the country. 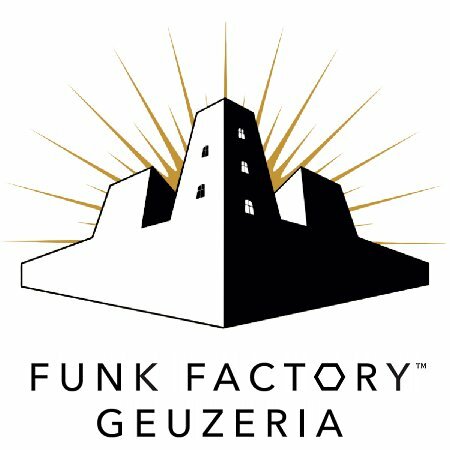 Untappd has Funk Factory Geuzeria as the Highest Rated Brewery in Wisconsin! The Giving Brewery donates 100% of Profits to local Wisconsin Charities in need. Some of those charities include: The Road Home of Dane Co, Fetch Wisconsin Pet rescue, Second Harvest, and the Natural Resource Foundation. Green Bench Brewing Co. is St. Petersburg’s first craft microbrewery. In the early 1900’s St. Petersburg was known as the “City of Green Benches”. At their height some 2,500 benches lined the downtown sidewalks inviting passers-by to slow their pace and make friends of strangers. These benches were a gathering place for residents and tourists alike, and served as a symbol of our hospitality, bringing people together each day. True to their original purpose, we envision Green Bench Brewing Co. beer, and our tasting room, to serve as a modern day catalyst for community and cheer. Horus Aged Ales is a 99% barrel aged brewery located in Oceanside, California. We believe in pushing the boundaries on how much beer can evolve through resting in oak by using a variety of different wine and spirit barrels, adding exotic fruits, and fermenting spontaneously. The complexity of the beer portrays our passion for experimentation and patience required to produce such a unique beverage. Horus has been a decade long dream that is finally coming true and we look forward to introducing our exclusive beer to the fine people of San Diego County. Why Mikerphone, not Microphone you may ask? Well, Owner and Head Brewer Mike Pallen has always had two passions in life; music and beer. Mike and his team have become one of the hottest breweries in the country, winning numerous medals, competitions, and collaborating on some of the highest rated beers on Untappd. His talent is only surpassed by his passion and we are happy to have him as a brewing partner. Octopi Brewing Company has become one of the fastest growing breweries in the Midwest. By using state of the art equipment and brewing techniques they are producing some of the best high end craft beer the Midwest has seen. Restoration Cider Co. is a small, veteran-owned business based in Madison, Wisconsin. They fell in love with cider in Northwest Spain, where making complex, dry, refreshing cider and pairing it with spectacular food is a centuries old tradition. Through trial and error they succeeded in making crisp, dry, refreshing cider that is worlds away from the soda-like sweet stuff that is common on this side of the pond. And they’ve done it using apples grown in the Driftless Area of Southwest Wisconsin. 5% of the profits at Restoration Cider Co. go directly to stream restoration projects. Nature’s creativity and diversity is on display in their ever-changing beers. Speciation merely guide the process, using the finest available ingredients, their love of science, and a lot of patience. Speciation is inspired by how the biological variations in nature create new species over time, much like how our beers evolve in the bottle. With each release, their wild culture grows and changes, and since the beginning we have worked with it to make the best beer possible. Southern Grist Brewing Company was founded by Jamie Lee, Kevin Antoon, and Jared Welch – three 2007 Nashville transplants who bonded due to their passion for making (and drinking) craft beer. It wasn’t long before their passion turned into a maniacal focus on opening a brewery in Nashville. Since the day their lofty goal was set, the same pillars have remained: be innovative, choose a setup and system that allows for constant change and flexibility with beer flavors, appeal to all palates, listen to what their drinkers want, build it in a great neighborhood with a community focus… And have fun. Untitled Art has been a pioneer for brewing in Wisconsin by bringing new beer styles into a market filled with exhausting back stories and kitschy names, Untitled Art lets the beer speak for itself. It also can boast as the 3rd Highest Rated Brewery in Wisconsin via Untappd. We are a new family-owned and operated craft distillery in Sun Prairie, Wisconsin, just outside of Madison. Our focus is on creating great craft spirits; as engineers by training and profession, we want to apply the engineering mentality to the world of distilling. Our goal is to look for ways to improve the process, minimize waste, and create better and more consistent flavors and products through maximizing the science applied to each step. Pronounced ‘Down-drins’ - a local Wisconsin craft distilling company. Officially started in 2018 the Young Brandy will be their first product to hit the market. Doundrins first and foremost wanted to produce the highest quality craft product. Second, there was a common desire to enhance the community that surrounded them. Finally, they want to build a foundation and legacy for their growing families. 18th Street Distillery is the first artisan distillery to open since prohibition in Hammond, let alone Northwest Indiana. 18th Street Distillery produces Rye Whiskey, Bourbon, Gin, Rum and Moonshine. In fact they have already won 5 National awards for its Barrel Proof Rye Whiskey & its 90 proof Rye Whiskey. At the 2018 American Distilling Institute Craft Spirits Competition, both whiskeys received Bronze Medals. The Barrel Proof also took home a Bronze Medal for Best in Class. From the 2018 San Francisco World Spirits Competition, the 90 Proof Rye Whiskey took a Bronze Medal and the Barrel Proof Rye Whiskey took a Silver Medal. Not all kombucha is created equal, and the holy grail of delicious booch lies in Madison, Wis. NessAlla Kombucha is delightfully different, with fresh and bright flavor combinations that please your palate, are wonderfully sophisticated, and pair well with meals. NessAlla has mastered and popularized a non-alcoholic fermented beverage at a local and sustainable level. Strey Dog is a Madison born cocktail mix company that excels in Old Fashioned Mixes. This Orange zest forwards mix is sure to shake up the local drinking habits!